Address: 11304 E. 25th Pl. 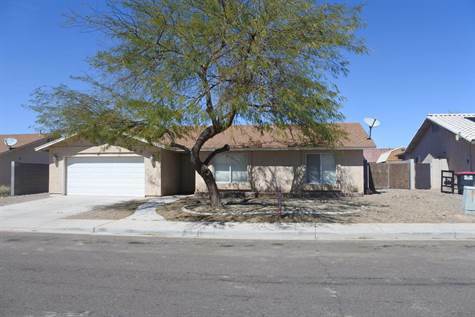 Affordable 3 bdrm 2 bath side built home with 2 car garage located in the foothills! Great family home with aprox 1450 sq ft, open floor plan, split floor plan, tile floors in living, dining, kitchen & hallways with bdrms carpeted, breakfast bar, gas stove & a nice size laundry room. Easy care yard with desert landscaping! Double gate on side yard for parking your toys! Great time to buy! Call now for your personal showing!